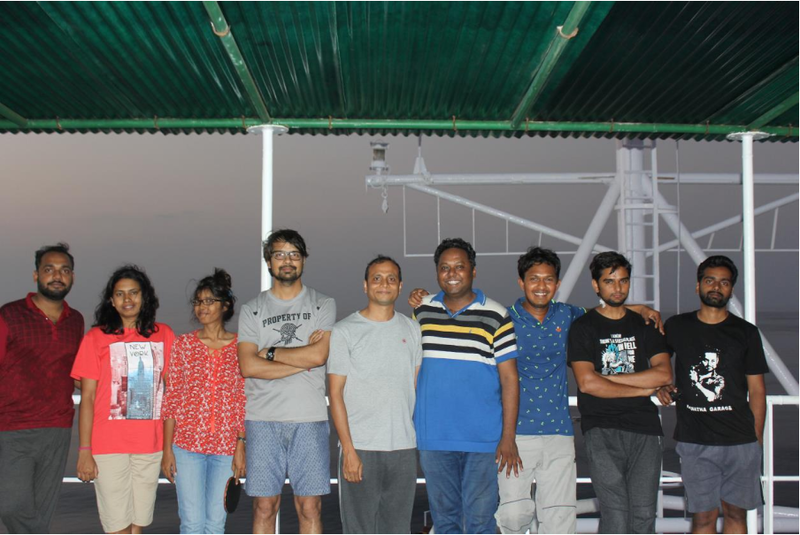 The first phase of studies of the IIOE-2 endorsed cruise EP12 was undertaken during 15 April - 03 May 2017 onboard India's FORV Sagar Sampada by scientists from four Indian institutions. 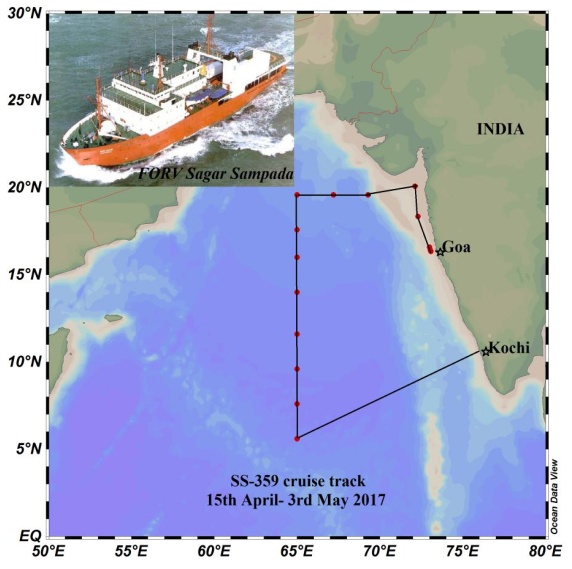 The onboard investigations comprised water sampling at 13 stations along three transect in the Arabian Sea to estimate N2 fixation rates, chemical characterization of the dust and sea water, primary production and community structure analysis. In addition, nutrient concentration measurements and biogeochemical experiments (such as nitrate uptake rates), as well as determination of optical parameters of the seawater (radiance and irradiance profiles up to the depth of 5% of surface light) were carried out to analyse the response of bloom in the visible and near infrared region. Samples for incubation and nutrients were collected mostly from the seven different depths within 1000m. Phytoplankton was collected from five depths in the upper 200m based on the light penetration and oxycline depth and zooplankton was collected by vertical hauling from various depth layers down to 1000m. To understand the atmospheric deposition of dust over the Arabian Sea, atmospheric PM10 samples were collected along the cruise track.